A regional planning commission in Wisconsin wanted to develop a regional Complete Streets policy as a tool to encourage its local jurisdictions to do the same. Partnering with Smart Growth America helped bolster their efforts, offering policy development strategies and fostering local discussions around Complete Streets. 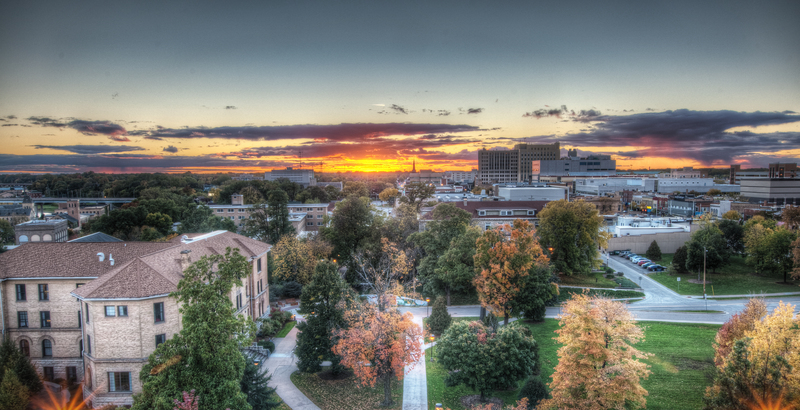 The East Central Wisconsin Regional Planning Commission (ECWRPC) serves 10 counties in Wisconsin, providing technical assistance to communities in the region and administering two metropolitan planning organizations (MPOs) that do local planning for the cities of Appleton and Oshkosh. ECWRPC was looking to create a comprehensive regional Complete Streets policy to encourage the more than 200 units of local and tribal governments in the area to adopt their own Complete Streets policies. Their ultimate goal is a consistent, regional approach to multimodal transportation that is inclusive of all people of all abilities. To get started, ECWRPC partnered with Smart Growth America (SGA) and the National Complete Streets Coalition to move its Complete Streets vision forward. The agency was awarded a Complete Streets workshop through an EPA Office of Community Revitalization Building Blocks grant. 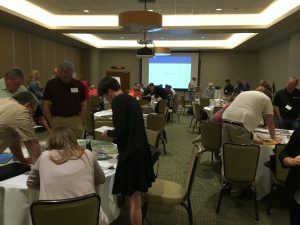 Key transportation and planning staff, elected officials, public health and safety officials, parks and recreation staff, and community advocates all attended a workshop as part of the assistance. The workshop focused heavily on visioning and brainstorming around Complete Streets but also included a design exercise where each community considered what Complete Streets would look like within their boundaries. ECWRPC has moved forward with its planned implementation of Complete Streets in the region. After a series of subsequent meeting and public comments, their regional policy was officially adopted in April 2018. The next step in ECWRPC’s plan is the adoption of Complete Streets policies by the two MPOs it administers—Appleton and Oshkosh. While the agency hoped to have the MPOs’ policies approved by now, changes in state law regarding how land can be acquired for bicycle and pedestrian projects —and how federal funds that the MPOs distribute can be used—has resulted in delays. ECWRPC still hopes to have the policies approved this fall and is currently seeking comments. ECWRPC has also been working with the City of Oshkosh this year, examining how best to develop and implement a Complete Streets policy at the city level. Oshkosh’s policy and the process they take will serve as a model for other local jurisdictions to create their own policies. As it planned from the start of this partnership with SGA, ECWRPC’s Complete Streets policy is being used as a framework for other regional and local policies. ECWRPC has also cited Ten Elements of a Complete Streets Policy from the National Complete Streets Coalition as a helpful resource for creating ideal local policies. Work around Complete Streets in local communities will be a big part of ECWRPC’s work in 2019.